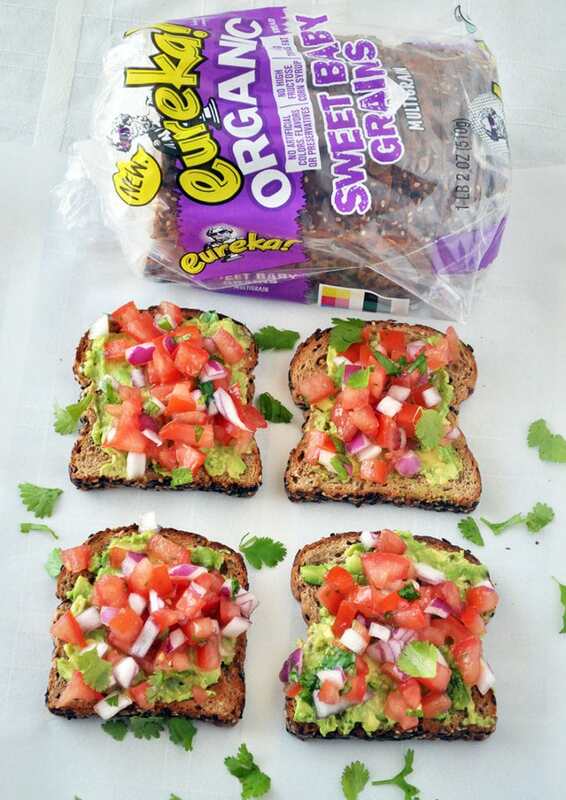 Disclaimer: This is a sponsored conversation written by me on behalf of eureka!® Organic Bread. Thank you for supporting the brands that I love. I don’t know about you, but I just love the warm weather and all the seasonal produce it brings along with it. Healthy, fresh food does not need to be bland. I eat healthy and can tell you that you don’t have to sacrifice flavor or eat boring. This Southwestern Avocado Toast is no exception. For this recipe, I chose to use eureka! organic bread which bursts with rich flavor and tasty goodness! It pairs so well with the fresh tomatoes, onions, cilantro and avocado. Put it all together and you have yourself a very delicious and flavorful meal! I used the Sweet Baby Grains variety for this recipe. My daughter Meadow loves seedy bread and asked for toast and jelly that morning using the Top Seed bread. They have six total varieties so the Grainiac, Seeds the Day, Saaa-Wheat, or Smoooooth Wheat varieties can satisfy your cravings too. All the varieties are certified vegan and USDA organic. Plus, they contain no artificial flavors, colors, preservatives, or high fructose corn syrup. They even use sustainable packaging. All this adds up to a bread you can feel good about feeding to your family. You can use this store locator to find some eureka! Organic Bread near you! You can also follow them on Facebook, Twitter and Instagram. An easy and healthy breakfast recipe using fresh ingredients. Serve immediately for best results. Enjoy! 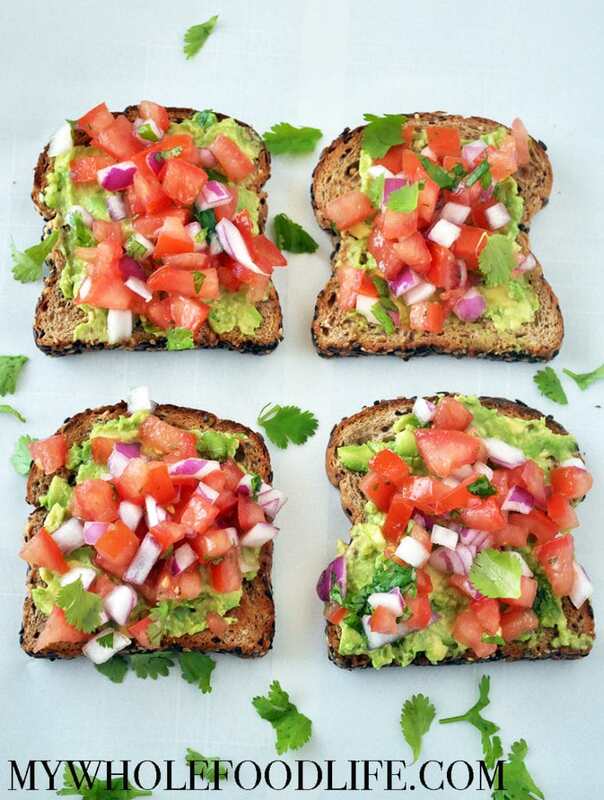 Pingback: Meatless Monday four ways to make vegan avocado toast!